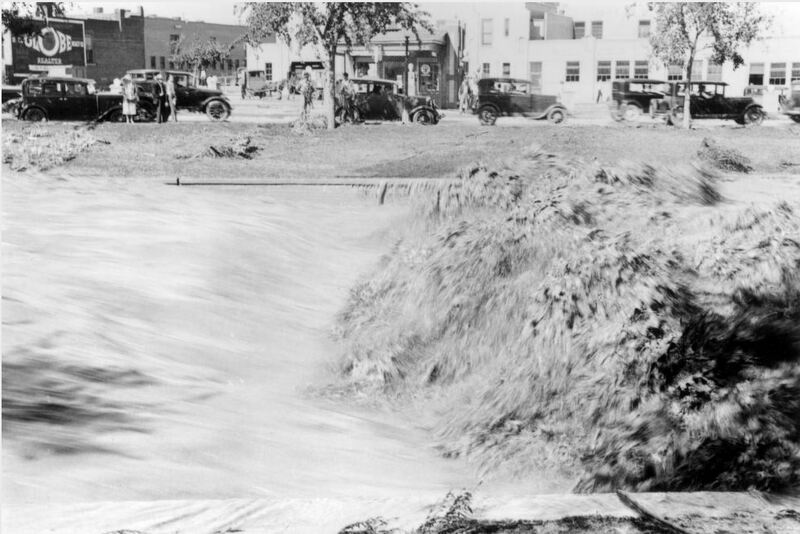 It was exactly 2:38 a.m. when Denver first learned that flood waters had broken the Castlewood dam, and that a wall of water would rush into the city...Timely warnings that a fifteen-foot wall of water was rampaging down the creek...saved the lives of many persons.Every police car and fire truck in the city was called out shortly before 4 a.m. to warn residents of the "bottom" lands to evacuate and to rescue families which might be marooned. 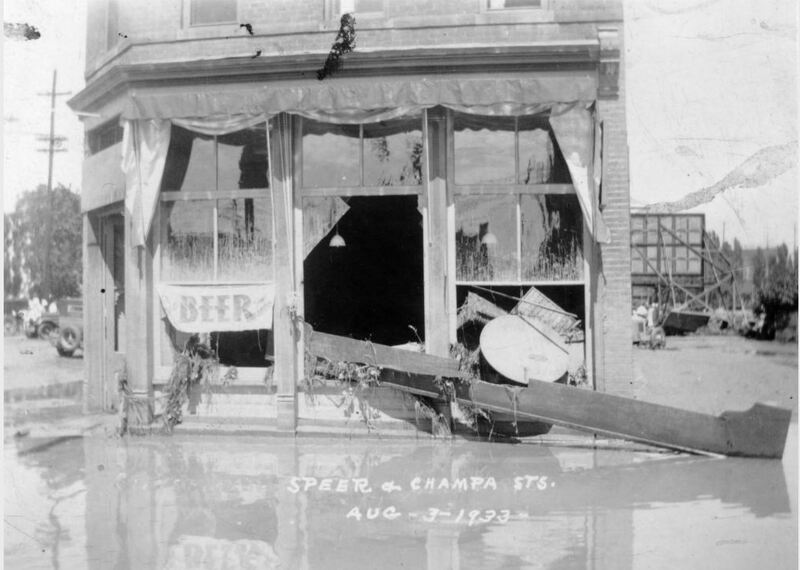 Around 1 a.m. on August 3, 1933, the Denver metropolitan area received a, "terrific battering of cloudbursts." 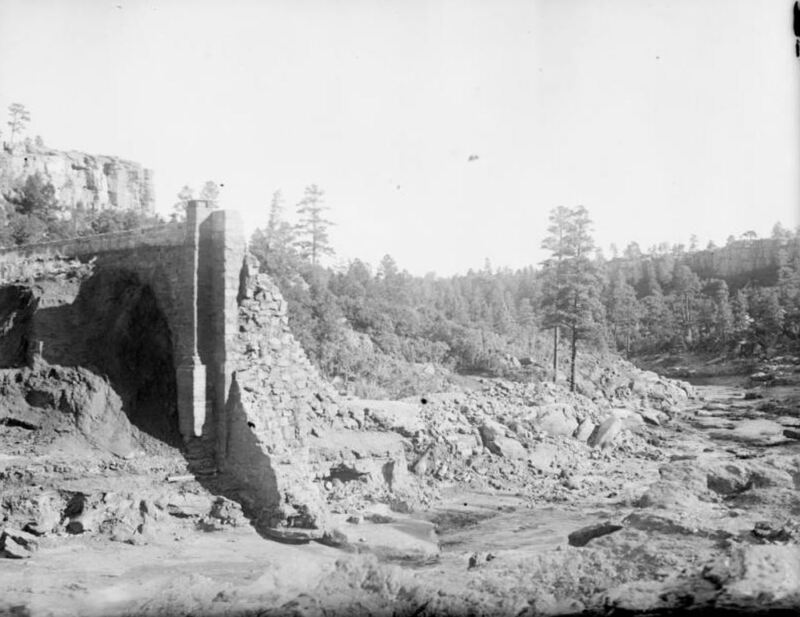 The rains caused Castlewood Dam, an irrigation reservoir located 32 miles southeast of Denver, to collapse. 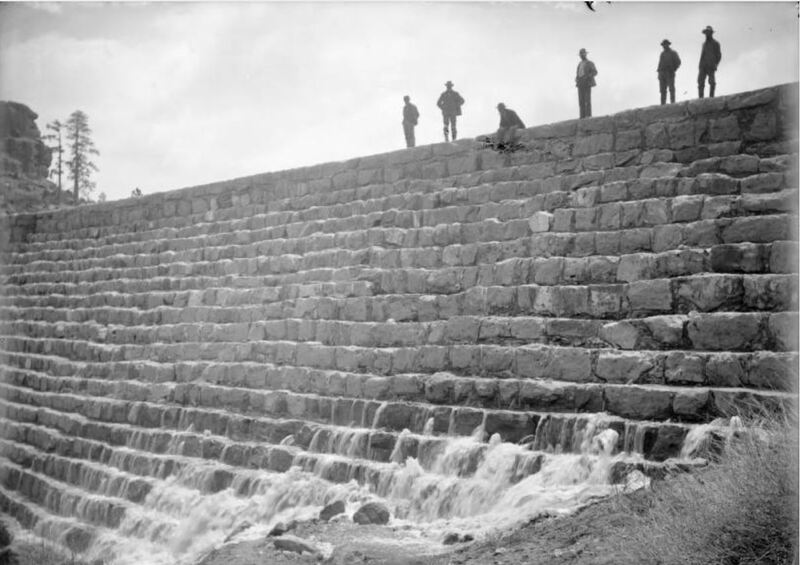 "The water that rushed towards Denver was significant, as Castlewood Dam was roughly three times the size of Sloan's Lake". 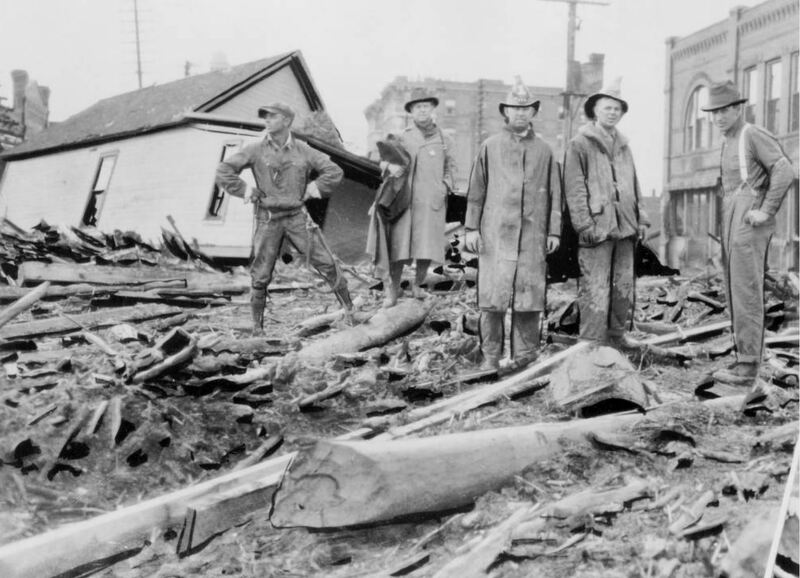 Two people perished in the flood: 83-year-old Tom Casey, who drowned while attempting to save belongings in his home,fell into a hole, could not pull himself out. The torrent surged over him, stilling his screams. 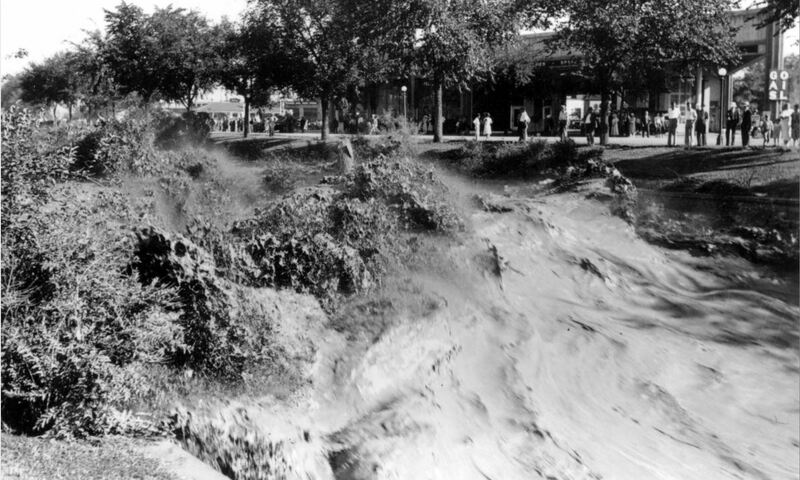 And Bertha Catlin, a 24 year-old woman from Page City, Kansas whose horse "threw her into the swirling waters" while she rode to view the flood damage. 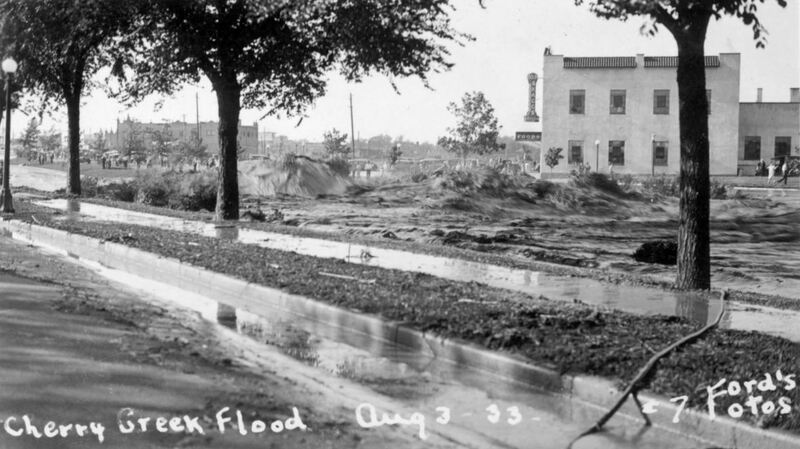 A team of approximately 2,500 men worked to clean up the flood's grimy aftermath. 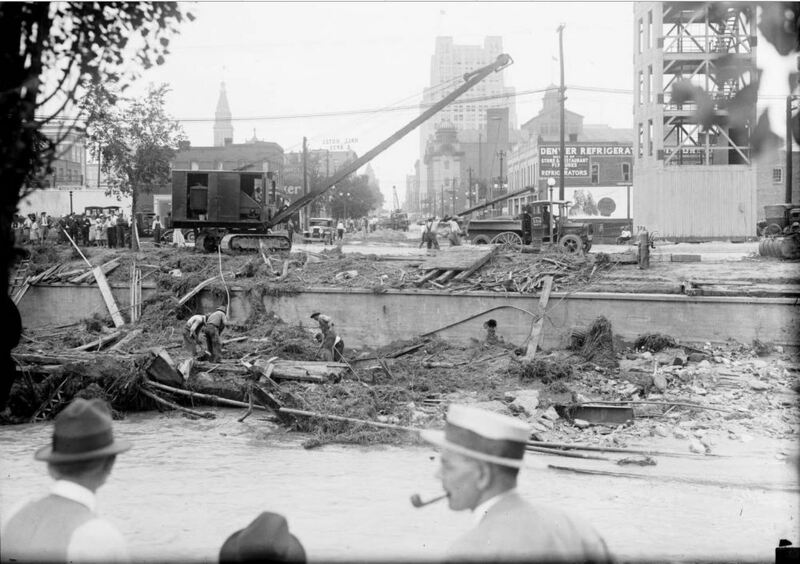 Construction projects soon got under way to rebuild the destroyed bridges in the area.Besides mud and washed out bridges, Denver residents endured flooded basements and downed phone and power lines. Displaced residents found shelter in Denver's downtown hotels. 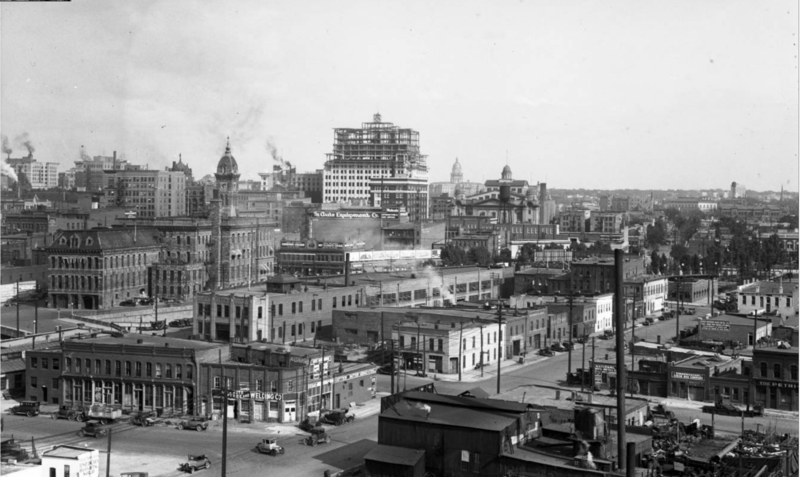 Visit Old Images of Denver on Facebook to explore over 5,000 photos of historic Denver and Colorado! !